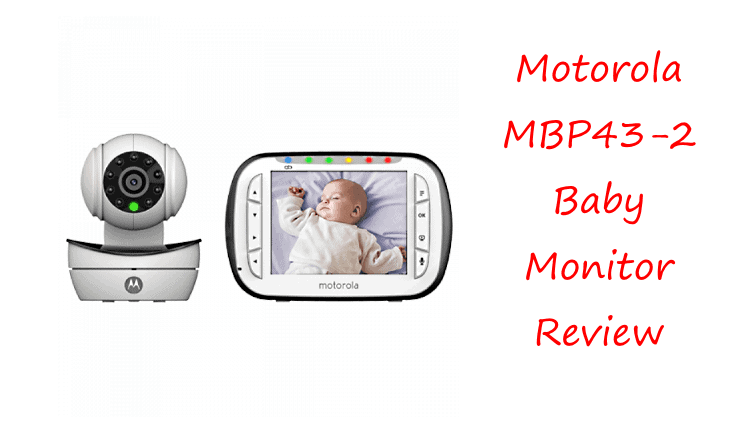 Motorola MBP43-2 Review: Should You Buy This Baby Monitor? Quick summary: This is an extremely advanced product. It comes with two cameras just to help you have a broader view of your baby. Its connection is always safe and covers a range of up to 590 feet. Read my following Motorola MBP43-2 review and have a complete understanding of the product. This device comes with two cameras. This gives you two angles of monitoring your child and helps you to not be changing camera location every time your baby changes his/her location. The cameras also support zooming and during this, the image clarity is always retained. This helps you to not run up to your baby’s room whenever you need to have a closer look on him/her. Having two angles of view also helps you notice any change on the baby’s environment easily. It also uses a secure line of connection. The wireless connection is safe enough and no one can be able to eavesdrop through it. It uses a 2.4 GHz wireless mode of signal distribution that has FHSS technology in it. The technology enhances privacy through distributing unique signals that can only be understood by a single monitor it is connected to. The advanced security leaves you monitoring your baby peacefully and confidently as you know that no one can access the connection. The microphone system is sensitive enough. Its sensitivity is so high that you can even hear and note when the baby is breathing with difficulties. You can also hear anything strange happening in the room where your child is. The monitor also allows two way communications. With this, you can talk and sing to your baby just as clearly as you would if you were physically there. The monitor also allows you to monitor the extent of the sound captured as it has an indicator that shows sound level. Night vision is also supported. Clear images are shown even at night and with this, you can check on your baby the whole night without necessarily having to go to his/her room. Infrared rays are used to aid in the night vision. The device also comes with 5 lullabies in it. Entertaining the child therefore remains easy. You can easily select the one you want to be played by using the display monitor. A rechargeable battery for the parent unit is also featured. With this, no battery replacement will be needed and all you will be required to do is to plug the parent unit to a power source whenever it runs out of power. A light signal for alerting you whenever the battery is low is also featured. Managing power therefore remains easy. Power adapters for the monitor and the two cameras are also included in the package. The device has a very loud sound. It is made in such a way that you are alerted by the sound even if you not totally close to the monitor. Sound buttons are included to help you adjust the volume to your most preferred point. Therefore, the device remains useful and can be set to not disturb you at any time. When running on battery only, the parent unit does not stream video constantly. It automatically goes off after some time as a way of saving power. The sound remains on but does not enable the video even when recorded on a higher note. You will have to manually turn the display back on by pushing a button. Video streaming however remains constant when the device is plugged to a power source. This can be used a solution to constant video streaming. This is a very good choice. And it is according to most of its users who have found it performing excellently. This monitor helps you check on your baby just as if you were physically there with him /her. According to the people, you can easily continue with your other house chores with the peace of mind as you know that the device has got your back. Anyone who has tried other models before says that this one serves better especially with its two cameras. Keeping your baby company is also easy with the two way communication and this comes as an advantage to all users. In conclusion, if you want to excellently monitor your baby while entertaining him/her at the same time, then you should get this one.